Max Arnaud is an actor, teacher, playwright, and director. Theater credits: L’Chayim at Theater for the New City, Exodus Code at The Flea, Barking Girl at 4th Street Theatre/New Georges, Spring Awakening at Center Stage NY, Dreams of Friendly Aliens at Abingdon Theatre, Puma at NJ Rep, The Common Man at Dixon Place, I Kreon at Walkerspace, Mythelaneous at Manhattan Theatre Source, Rosencrantz and Guildenstern are Dead at Actors Theatre of Louisville, The Iceman Cometh at the CAC in New Orleans, and Julius Caesar at the Shakespeare Festival at Tulane. At Greenbrier Valley Theater: Drawer Boy, Noises Off, Proof, Moonlight and Magnolias, To Kill a Mockingbird, and Death of a Salesman among others. His play Daydream toured the Canadian Fringe Festivals in the Summer of 2010. Film: Upstate (LA Film Festival, 2010). BA: Tulane, MFA: WVU. Website: www.maxarnaud.com. Molly is excited to be joining the “Precious Cargo” Team. Past television credits include: “Gotham,” “Law and Order: SVU,” “The Good Wife,” “Law and Order: CI,” “Gossip Girl,” and “All My Children.” Theatre credits include: The Heiress (Broadway, directed by Moises Kaufman); An Opening in Time (Hartford Stage, Christopher Shinn world premiere, directed by Oliver Butler); Extremities (Berkshire Theatre Group, directed by Karen Allen); Crimes of the Heart (McCarter, directed by Liesl Tommy); Are You There McPhee? (McCarter, John Guare World Premiere); The Lieutenant of Inishmore (Berkeley Rep, directed by Les Waters); workshops with Sundance Theatre Lab, O'Neill, New York Stage and Film. Teddy Coluca Jr. is thrilled to be a part of the “Precious Cargo” cast. Many thanks to Lauren, Dano, Sasha , and Ben. Teddy graduated with a BFA from Mason Gross School of the Arts at Rutgers University, where he also studied for a year at Shakespeare's Globe in London. Some of his favorite roles at Rutgers were Pinky in Stephen Adly Guirgis' Our Lady of 121st Street, Phillip in Neil Labute's The Shape of Things, Paris in Shakespeare's Troilus and Cressida, and Bahlool in Dano Madden's Beautiful American Soldier. Teddy has been acting professionally since childhood, having appeared in the NYC Fringe Festival, various commercials, radio voice-overs and audio books. Television credits include HBO's “The Sopranos,” NBC's “ED” and Comedy Central's “Michael Ian Black Doesn't Understand.” You can find his work on the Facebook page "Highlights of Teddy Coluca Jr." Teddy is a proud member of SAG-AFTRA and lives in New Jersey with his beautiful wife Sarah. Thanks again to the entire “Precious Cargo” team. Kate Feerick was born and raised in Massachusetts. She attended the University of New Hampshire where she received a B.A. in Theatre. She has appeared in national tours including Hairspray (Female Authority Figure, u/s Velma), Beehive (Pattie), and Click, Clack, Moo (Darlene). Favorite roles include Guys and Dolls (Sarah Brown), Oklahoma! (Laurey), The Full Monty (Pam, u/s Georgie), Lend Me a Tenor (Maggie), Godspell (Peggy), and Smokey Joe's Café (Pattie). She has also appeared in the film 100 Years of Evil. Kate was also the personal assistant for Cameron Macintosh on the national tour of Mary Poppins. Douglas Hall is an actor, director and teacher who has worked at The Williamstown Theater Festival, Mountain Playhouse, Seven Angels Theater and Merry Go Round Playhouse amongst others. Acting credits include Galileo in Brecht’s Galileo, Carl in Lonely Planet, and Robert in The Dying Gaul. Directing credits include the New York premiere of The Religion Thing, as well as productions of The Dying Gaul, Of Mice and Men, The Lonesome West, and the short film, Second Glance, starring Valerie Wright and Robert Clohessy. He was on the acting faculty of CAP 21 and Pace University and he is currently on the faculty at the University of South Florida in Tampa. Dana is an actress who has worked in New York theater, film and television. She was in the Off-Broadway production of Our Town at the Barrow Street Theatre and danced in a pink jumpsuit in Here Lies Love at The Public Theater. She has appeared in the television shows “The Newsroom” and “The Blacklist.” She is a graduate from the MFA Acting program at Rutgers University, Mason Gross School of the Arts. Dana is honored to be a part of “Precious Cargo.” Thank you Dano, Lauren, Sasha, Ben, and the entire “Precious Cargo” team. Benjamin Katz is an actor and teacher. Recent stage credits include: We Once Were (Pipeline Theatre Company), Summer & Smoke (BASiC Theatre Project). Film/Web: Bakery (Dog Out Window Productions), A Trip. Upcoming: performing in MCC Theater’s Youth Company FreshPlay Festival; selected artist in Fresh Ground Pepper’s brb. Workshops with Hartford Stage, New Dramatists (Liz Egloff's Ether Dome), Eugene O'Neill Center (Dan LeFranc's Troublemaker, NPC '11), and Clubbed Thumb. Atlantic Theater Company Kids Faculty; BFA: NYU. Sarah Koestner is thrilled to be working with Dano and Lauren on “Precious Cargo!” New York theatre credits include: The Libertine, Love Song, Waiting for Lefty, The Truth About Christmas, Betrayal, Othello and Henry IV and V. Regional credits include: The Understudy with Amphibian Stage Productions, The Libertine with Bridge Rep, Over the River and Through the Woods and A Month of Sundays with The Public Theatre (ME), The Maids, Doubt, Landscape of the Body and One Good Marriage with The Garage Theatre Group, A Christmas Carol with Tri-State Actors Theatre and She Stoops to Conquer with Centenary Stage. She has also been seen in many student and independent films. She earned her MFA in Acting at Rutgers University and her BFA from Emerson College. Sarah is also a director, teacher and private coach. Molly is happy to join the cast of “Precious Cargo!” She has appeared in such films as My Best Day (Sundance premiere), You Must Be Joking, and Dear Dog, I Love You, as well as such web series as “High Maintenance” (Vimeo On Demand) and “Two Guys Named Josh” (MTVOther). Perhaps you caught Above Average's viral video "Everyone's Upstairs Neighbors?" She was the kooky wife! Perhaps you caught the Foot Locker commercial with Tyson, Favre, and Holyfield? She was the airline attendant who laughed at/with Dennis Rodman! Molly is a regular house team performer at the Upright Citizens Brigade Theatre, a sketch comedy writer/director, and coaches and teaches improvisation all over the U.S. She has a website! It's www.mollylloyd.com. Sarah Naughton is a New York based actress, singer, and comedian. Some recent credits include Summer and Smoke at the Access Theater in New York, AcousticaElectronica and Sexyback: or what you will at the American Repertory Theater in Boston, and Mame at the Human Race Theater Company in Dayton, Ohio. She is also an audiobook narrator with eight titles and counting! Check her out on audible.com. This is her second role in an episodic series created by Sasha Kaye, having appeared in Kaye's first series, “Waiting on Others.” Sarah is extremely jazzed to be working with Sasha again. When she's not performing Sarah loves walking around New York, listening to podcasts, and eating pizza. To find out more about Sarah, please visit her website, www sarah-naughton.com! 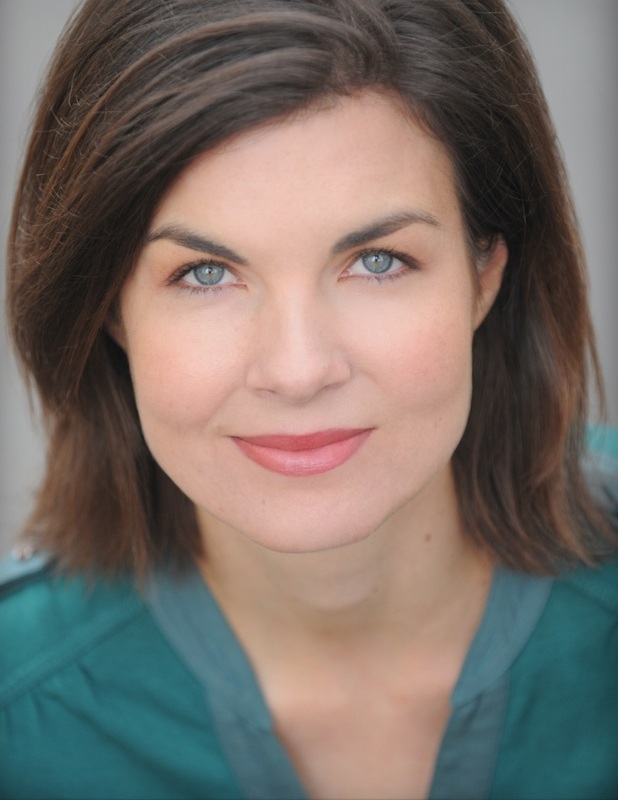 Lizzy Plimpton is an actress and screenwriter. She is a graduate of Atlantic Theater Company’s Conservatory Program and studied at The Royal Academy of Dramatic Arts. She has appeared in a number of films including 8:46 (Winner Best Ensemble Cast – Downbeach Film Festival, Winner Best Narrative Short– GI Film Festival), Adherence, K.I.S.S, Dating Games, and One Last Question. She currently resides in Brooklyn, NY. Sarah Sirota is a Brooklyn-based actress, singer and teacher. 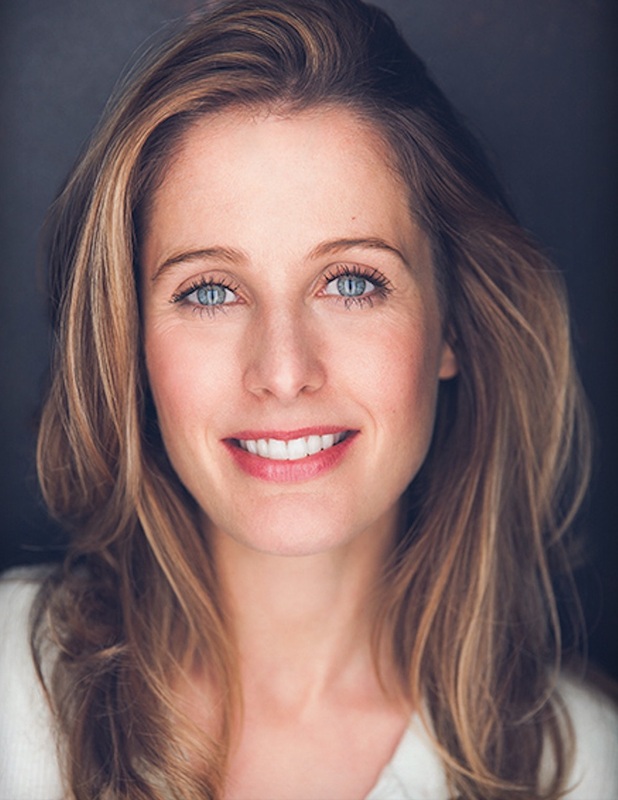 She earned her MFA in Acting from Rutgers University and her BA in Theatre from Dartmouth College. Sarah most recently appeared on stage as Maria in the award-winning new musical Zuccotti Park, produced by Salgado Productions. She also regularly participates in readings, workshops and productions with groups such as Ensemble Studio Theater, New Dramatists, Lincoln Center, LAByrinth Theater Company, the Cherry Lane, the Flea Theater, Ars Nova, and The Friars Club. Her favorite stage roles include Roberta in Danny and the Deep Blue Sea, Irina in Three Sisters, and Woman in Laughing Wild. Recent film and television work include an appearance on the FOX Network in the award-winning comedic short film What To Expect, a role in the new series “Small Miracles” with Judd Hirsch, as well as other recent film screenings at Anthology Film Archives and Sundance Film Festival. Sarah also voiced the character of Ursula in GTA5. Sarah teaches for R.Evolucíon Latina and is a proud member of SAG-AFTRA and AEA. Learn more about her at www.sarahsirota.com. Lauren Sowa is thrilled to join the cast of “Precious Cargo.” Lauren is a big-time animal lover, and has yet to meet a pretzel she doesn't like. When not shooting, you can find her on stage, reading a good book, catching up on old films, doing yoga, and watching soccer. Recent Film Credits: Way, 42 Second of Happiness, and I’m All Set. Upcoming: The Rainbow Experiment. Training: NYU Tisch Drama. For more info and updates, check out www.laurensowa.com!